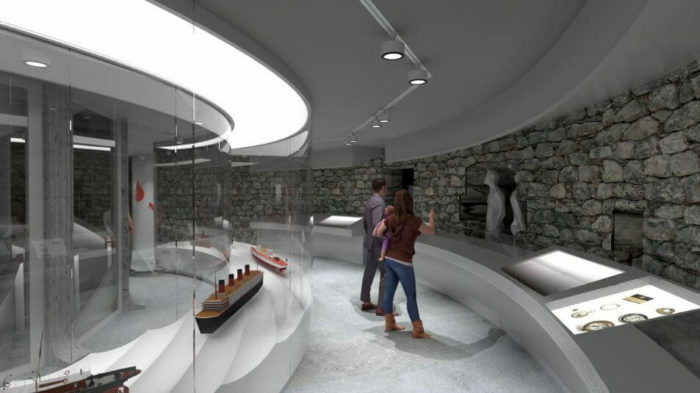 EAS will allocate a total of 2.07 million euros from the support for international family tourism attractions of the European Regional Development Fund to the Maritime Museum for the construction of the complex, creation of an exhibition, and activities related to the launch. The same amount from the state budget and self-financing of less than one million euros will be added to the support. ‘The news of support from EAS was a great relief and we can now proceed with construction,’ said Urmas Dresen, member of the management board of SA Eesti Meremuuseum. ‘Five tenderers participated in the construction procurement and the procurement procedure is currently in progress. We aim to reach a construction contract in June,’ he added. 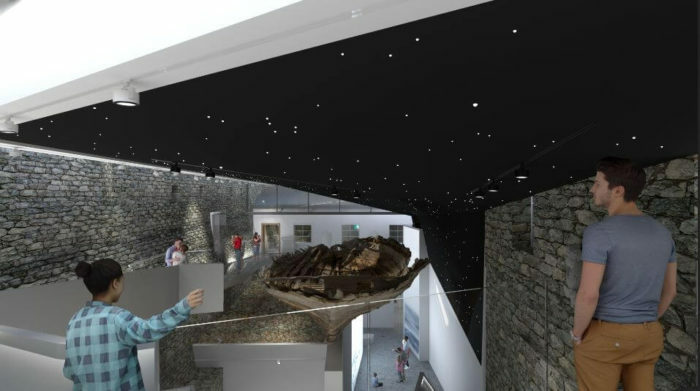 The new main exhibition area will cover more than 1,000 square metres to afford a better view of the Great Coastal Gate Complex, which is part of the UNESCO heritage list as an important part of the Old Town of Tallinn, and the uniquely well-preserved wreck of a mediaeval cog. The exhibition tells the story of maritime economy, moving goods and travellers by sea, technological solutions, and the people behind it all. In addition to original exhibits, the museum will feature smart digital and hands-on solutions to explain objects and phenomena to adults, children, and guests with special needs. The support of Estonia 100, the National Foundation of Civil Society, and the Maritime Museum’s participation in the international TANDEM project and collaboration with the Estonian Chamber of Disabled People will help to ensure equal accessibility for visitors with visual, hearing, and mobility impairments and intellectual disabilities. The exhibition of the Fat Margaret is planned to be reopened in November 2019. Sketches of the new exhibition by Inphysica Technology.